It’s hard to believe we’ve been married one month already! The first month has brought with it many blessings, a lot of change, and things I didn’t really expect… like learning how to sleep with my husband. No really, we are trying to figure out how to sleep in the same bed. We’ve both been used to sleeping in a full size bed alone, and we are quickly discovering that’s not enough space for the both of us. Blanket Hog is not something I expected to hear in married life, but alas, I am a robber of covers, causing my husband to lose sleep :-p. Oh the drama. NFP. Stuff just got real. I’ve been using Natural Family Planning for the past three years. 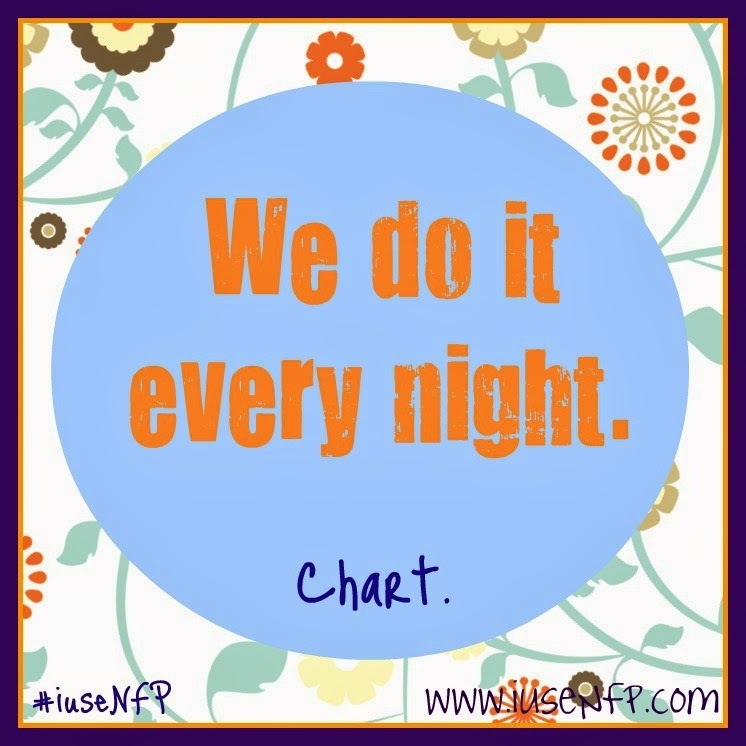 I started charting before I even met Michael, and now that we’re married NFP is even more awesome. It’s one thing to talk about NFP as an abstinent single woman before marriage, it’s a whole other thing to start charting as a couple and really trying to be open to whatever God has planned for us. “NFP-ing” together has been a great gift in our first month of marriage. It has given me an even deeper appreciation for my husband and my fertility. This has also been an opportunity to practice what I preach. 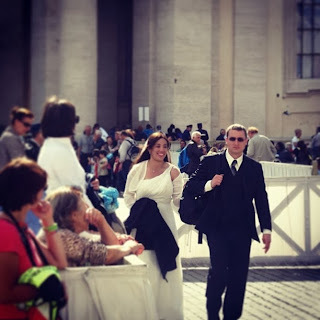 As spouses we are called to openness to life. We said “yes” when my Deacon Daddy asked us “Will you accept children lovingly from God…” and we meant it. And as we continue to chart, I think we are realizing that this is so much more than a way to “postpone or achieve pregnancy”; it is an invitation to pray about God’s plan for our family on a regular basis. I know that NFP-ing isn’t always going to be easy, but that’s why we need the grace of the sacrament! I was one of the millions of people who liked and shared the “Marriage Isn’t for You” blog post by Seth Adam Smith that went viral this week. I really liked what Seth had to say, and it was a wonderful reminder of what Michael and I signed up for a month ago. But I also really liked Jeremy’s blog Response which brought it all together: Marriage isn’t about you, OR your spouse… it’s for God. Michael is the real cook in this relationship, but this past week I stepped up my game and made dinner and a dessert (for those who know me, this is kind of a big deal 🙂 ). We had a wedding reception at our parish last weekend and so I made Pumpkin Cream Cheese Cupcakes. Yum. The first couple of batches weren’t so pretty, but by round 3 I was baking like a boss. Last night I tried my hand at this Roasted Garlic Chicken Penne recipe minus the roasted bell peppers. It actually turned out really well and I’m surprised at how much I enjoy cooking. My next goal is to start cooking healthier and to also put our brand new crockpot to work. The only thing I made in it so far is a bean casserole soup, but I’m ready to step out of my comfort zone and try something new! If you have any favorite (easy) crockpot recipes please share!! I love my husband. No Really. I love him.